Get a free trial version or update your existing version! You can use this software for 21 days with the full range of features. 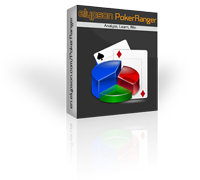 Get the completely functional version of PokerRanger. You can use it as a trial or activate it with a purchased individual serial key. Update your existing version to use the latest enhancements. Important: Paste it into your current PokerRanger directory. This version also works with Windows XP. It will ask for an update which you should cancel, unless you use Windows Vista or later.